-- City of Surrey’s Health &Technology District to host Breathtec’s in-licensed Na-Nose study for disease detection. 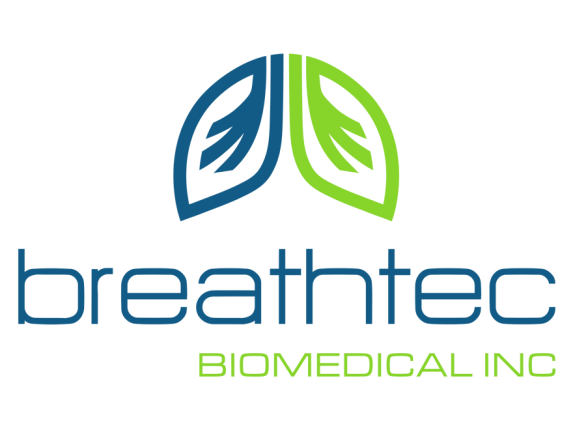 Breathtec BioMedical, Inc. (CSE: BTH) (CNSX: BTH) (XFRA: BTI) (OTCQB: BTHCF) (the “Company” or “Breathtec”), a medical diagnostics company focused on developing, in-licensing and commercializing proprietary, innovative and best-in-class breath analysis devices for the early detection of infectious and life threatening diseases, is holding a press conference today to announce plans for the commencement of the company’s clinical trial program at Innovation Boulevard located in Surrey, British Columbia. During the event, NA-NOSE lead researcher Professor Hossam Haick will demonstrate how the nanotechnology-based breath analysis system is used for screening of potentially life-threatening diseases. The licensed technology will be clinically evaluated as a non-invasive point of care device for early detection of community and hospital based infections such as Streptococcus; Methicillin resistant (MRSA); Staphylococcus; Enterococcus; Vancomycin resistant (VRE); Pneumococcus; Hemophilus influenza (HiB); Chickenpox; and the common cold, etc. Press Conference – Tuesday, June 28th at 11 a.m. (PDT), 2 pm (EDT). Where: City Centre 1, 13737 96th Avenue, HealthTech Innovation Hub (2nd Floor), Surrey, Canada. Innovation Boulevard is an agile partnership of health, business, higher education and government coming together and creating new health technologies to improve peoples’ lives through a shared vision to achieve innovative results, improve health outcomes for patients, implement intelligent solutions for the health care economy, attract talented clinicians and researchers, and to grow companies in the health care technology and services sector. Potential Investors take note, BTHCF is becoming a global company specializing in breath testing technology created and licensed for the early detection of infectious diseases. The potential return for early shareholders is lucrative as this early Bio-Tech company begins clinical trials for the Na-Nose device!